In 2017, when she was 29 years old, Amina Zaoui launched an artisanal soap and natural cosmetics business in Tozeur, Tunisia. After graduating with a degree in Medical Bio-technology in 2014, Amina chose to start her professional journey working in an agricultural project design office as a personal assistant. This experience enabled her to learn basic entrepreneurship skills, but was far from her area of expertise. In 2015 she decided to leave her job in order to start her entrepreneurial journey and to foster her passion for cosmetics. In order to develop her entrepreneurial skills and prepare herself properly for the launch of her business, Zaoui decided to take part in specific training courses during 2016 that included CEFE International and the MORRAINE training. A year later, she completed a training in saponification at the InfoPole Private Center in Sousse, which allowed her to strengthen her technical skills in the process of making soap. She continued her education in July 2017, when she attended an HP LIFE group coaching session that was part of the Mashrou3i program organized by UNIDO in partnership with USAID, the Italian Cooperation, and the HP Foundation. The program is designed to foster a spirit of entrepreneurship and offer tools that support fledgling business owners. Its mission is to create some 6,000 jobs and reach more than 25,000 aspiring and existing entrepreneurs in Tunisia over the next five years. 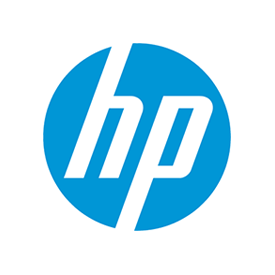 In addition to mentoring and technical skills training, participants have access to HP LIFE, a free, online program of the HP Foundation, which features 27 interactive modules covering business and IT skills training in seven languages. Zaoui also benefited from the HP LIFE e-Learning online courses, which enabled her to develop her skills in marketing, accounting, and management. Motivated by this training, Zaoui started to experiment at home, developing many products based on vegetable oils and natural products from the region known for their therapeutic benefits. She quickly became aware of the benefits of local products and their importance in the field of the cosmetics industry. “Thanks to social networks, orders are starting to multiply and are usually specific to the needs of each client, which allows me to adapt my offering depending on the type of skin, the desired scents, or even forms of soap,” said Zaoui. Today, Zaoui is developing her customer portfolio day by day through online sales. In the short term, she intends to recruit two assistants and to create more products of natural origin from the organic resources in her region. In particular she wants to obtain the organic certification that will enable her to export her growing range of cosmetics. Thanks to the technical assistance of the Mashrou3i program, Amina will soon benefit from the support of an expert in marketing and communication who will help her improve her visual identity and packaging.